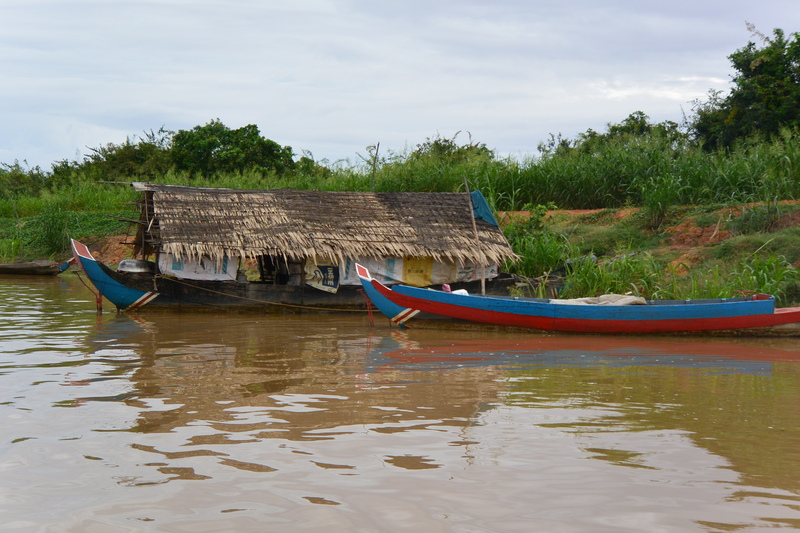 There are two floating villages near Siem Reap. 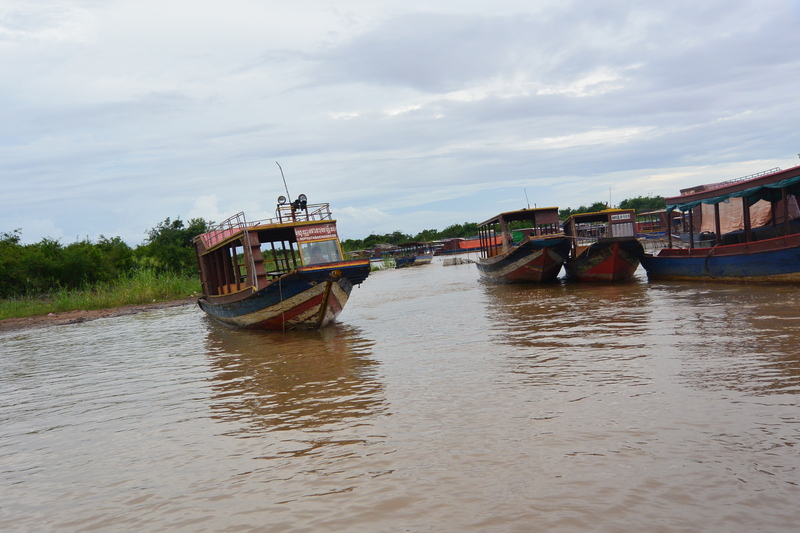 If you have the opportunity to go to one, go to Kompong Phluk. 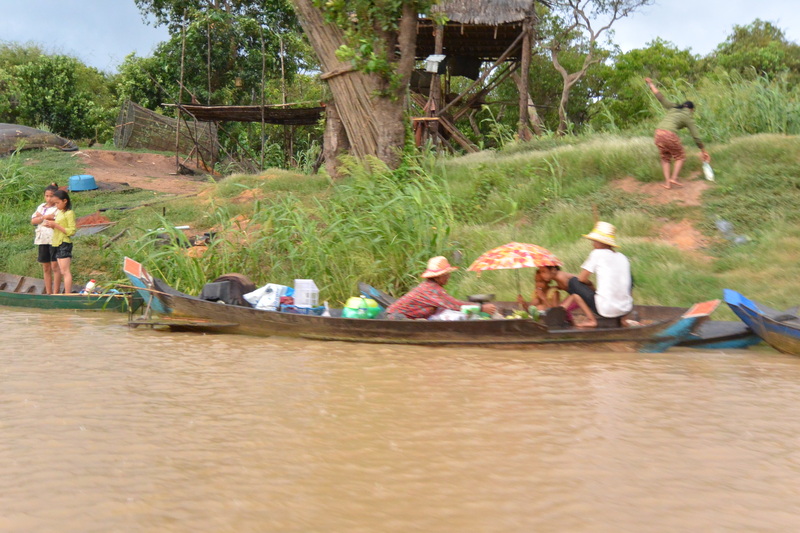 The other village is closer to Siem Reap, but it is not an authentic floating village, it’s more there for tourists to visit. 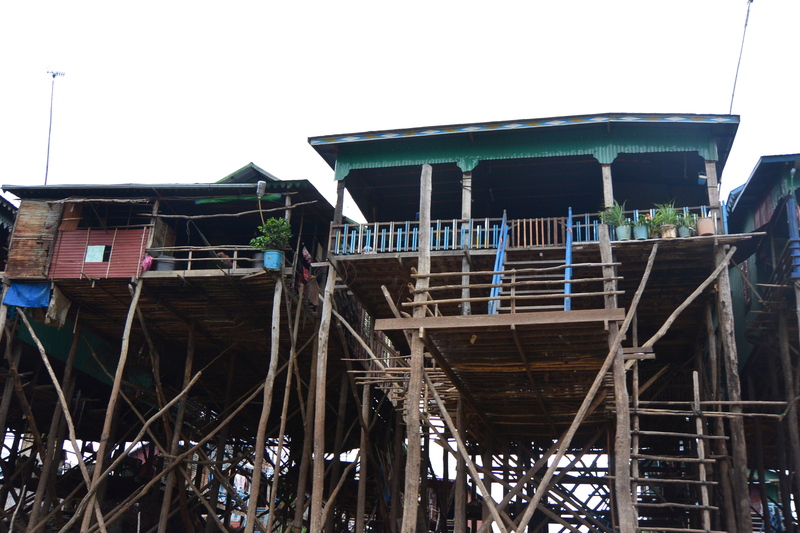 Kompong Phluk is different. It’s a real village, where people live all year round. 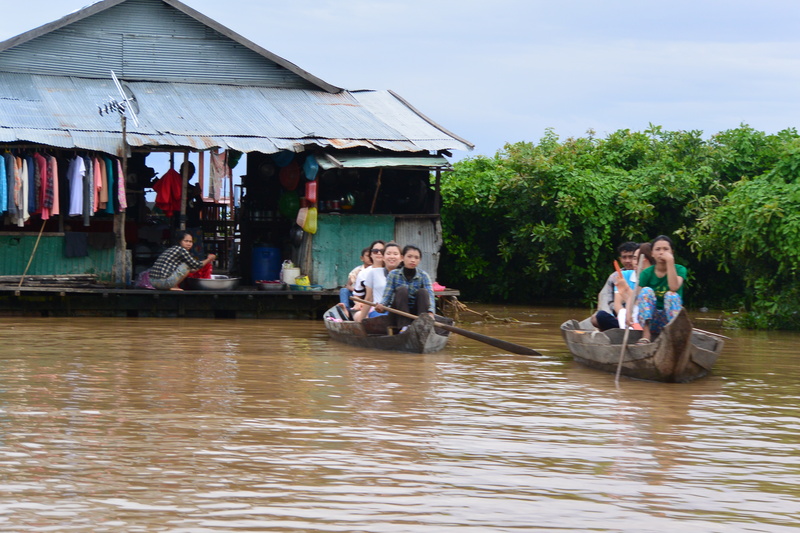 For part of the year, during the rainy season, it’s only accessible by boat. 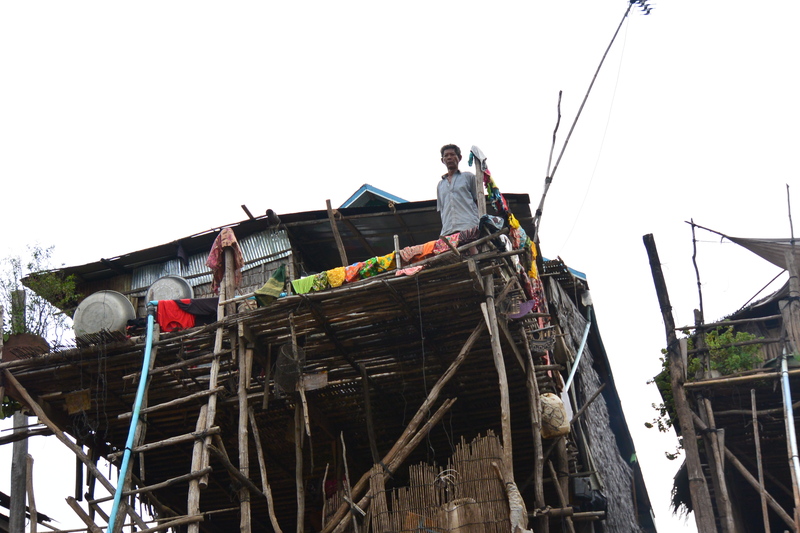 It was really neat to see how people lived there. 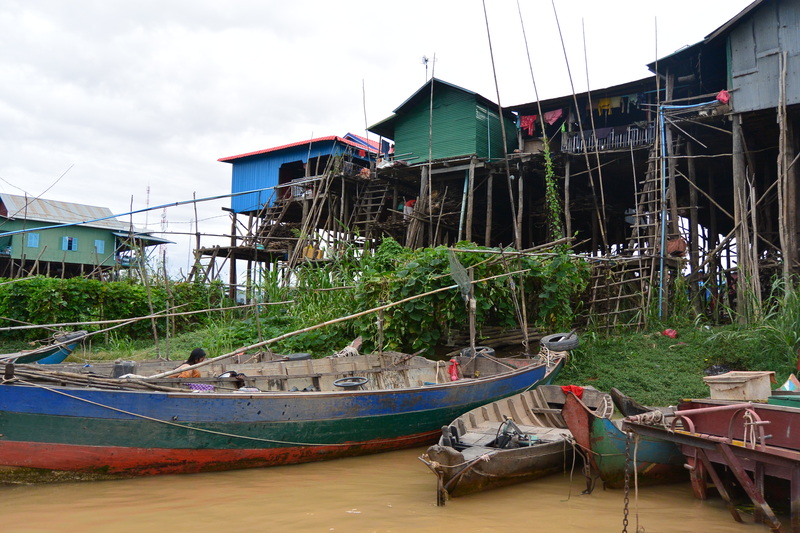 They have no electricity, and they are dependent on the river for their way of life, many of the people who live here are fishermen by trade. Our guide was telling us that the really rich people in the village are the ones who live in the tall houses, and some of them even have generators. 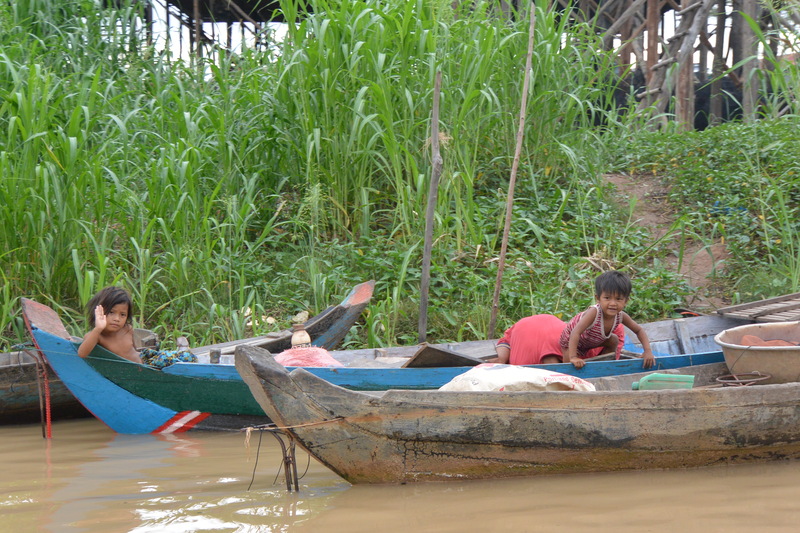 The poorer families in the village just live in their boats, the entire family lives and sleeps there. 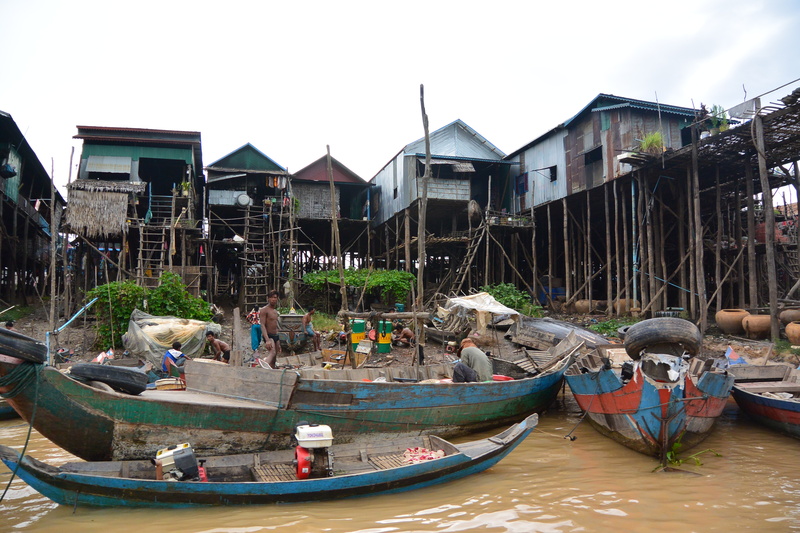 We went all the way down the Tonle Sap river in our boat, checking out the village, there are homes on both sides, and the school. 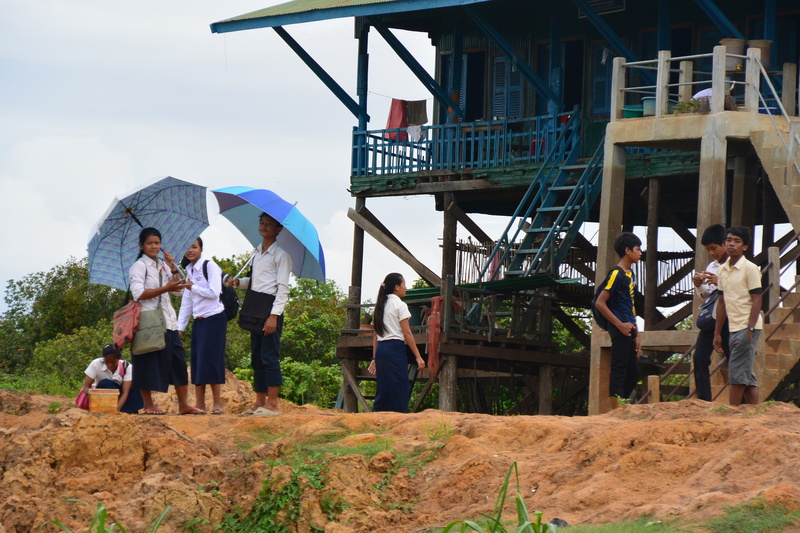 There is also a small health clinic. 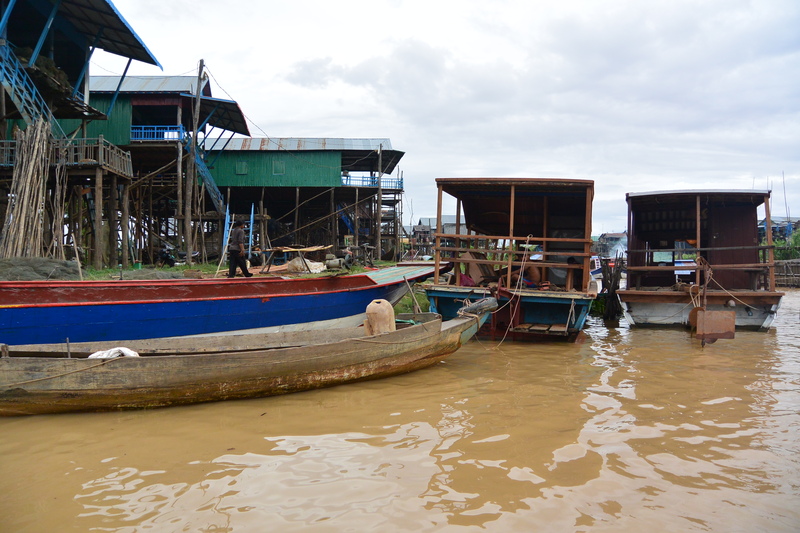 At the end of the river, you come out onto the Tonle Sap Lake. It is completely massive, I’ve never seen a lake that big, you can’t see land across it so it feels like the ocean on a very calm day. 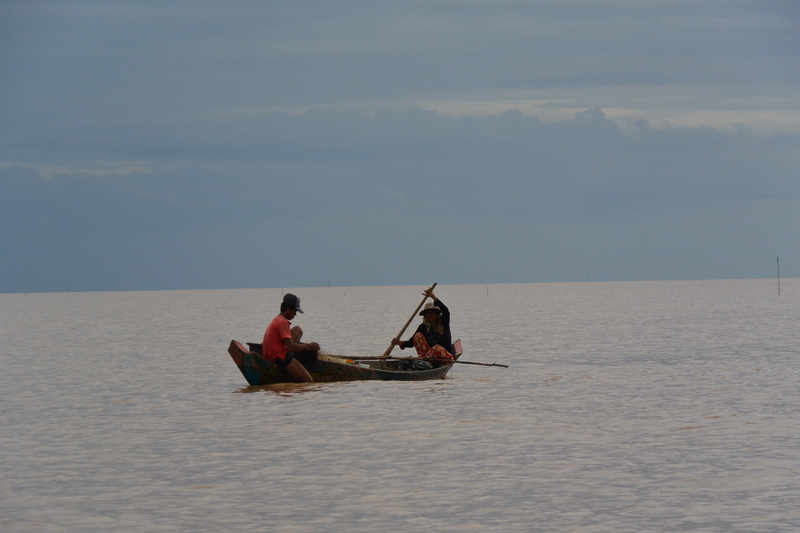 Also, because of the time of year when we were there, the water was a deep brown colour, due to the sediment that runs down from the mountains during the rainy season, so it didn’t even look like water at all, it kind of looked like the ground. It was pretty cool. 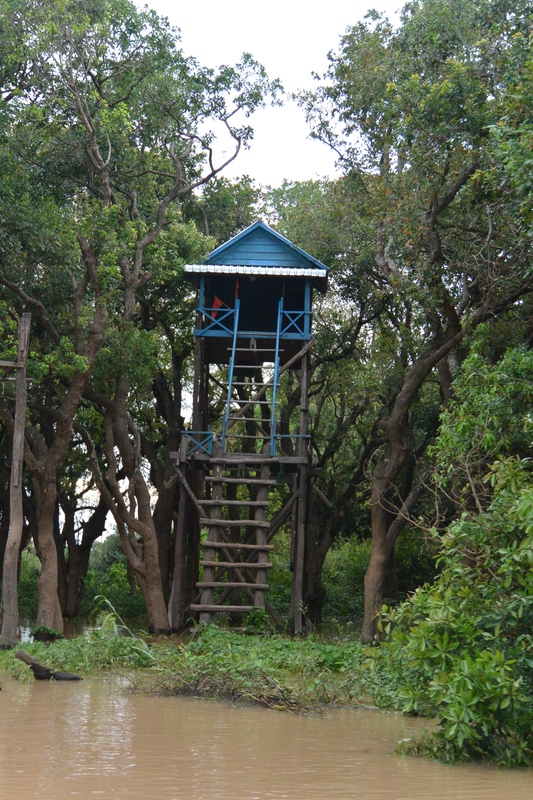 Also, during the height of the rainy season, the mangrove forests nearby flood with water, and you can take a small canoe for a twisting, turning cruise through the trees. 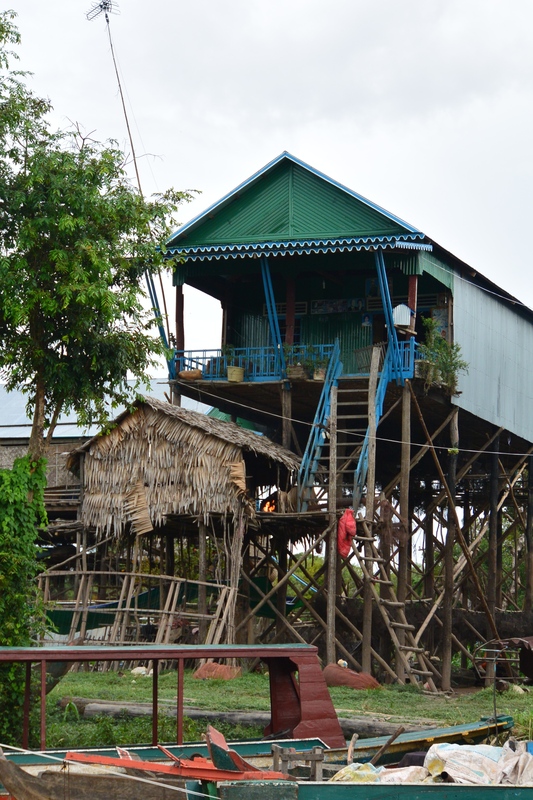 If you get the chance to visit Kompong Phluk, I’d definitely recommend it. It’s so different from our way of life, and gives important perspective. The people there get by with so little, and they are happy. Many of us have way more than we need, and still don’t feel like we have enough. 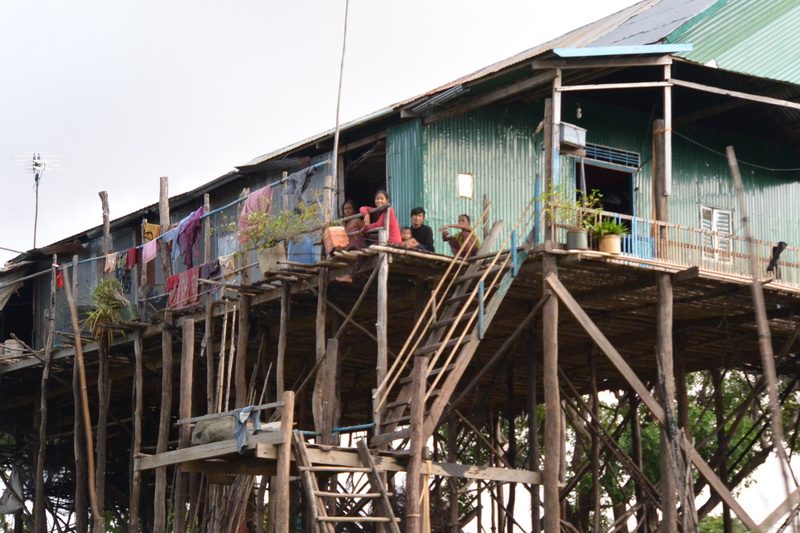 We can definitely learn something from the people of Kompong Phluk.